drivingandlife: BABY LION WITH A BIG HEART! Driving swiftly (very swiftly) across the landscape of Queensland’s southern volcanic rim, I felt like an energetic little mouse scurrying across a garden path. Here I am mounted in a small three-cylinder French ‘demander voiture’, going like the clappers and loving every moment of it. 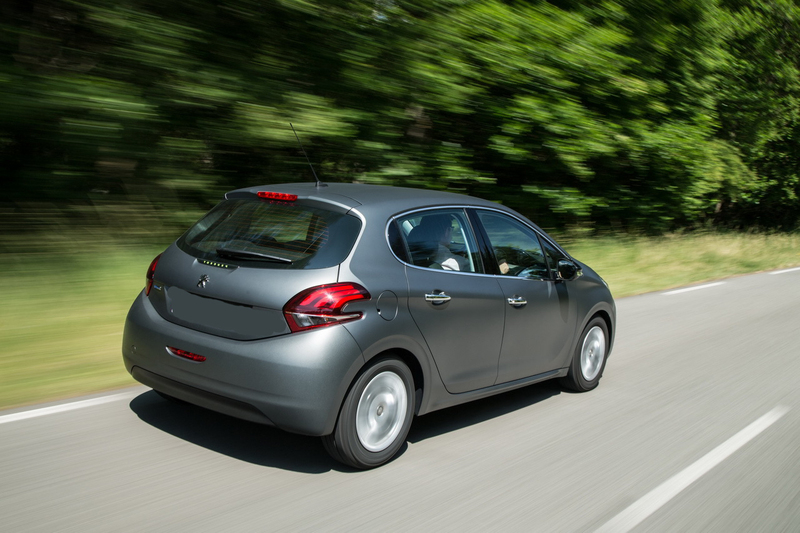 The new Peugeot 208 is everything it promised to be – well-equipped, smooth-riding and delivering fantastic performance. Despite revving to the redline for maximum thrust, the engine retains outstanding low-speed flexibility, and when I re-checked the engine stats to see 205Nm of torque at 1500 rpm, I knew why. Peugeot has nicknamed this engine family ‘PureTech’ – which of course doesn’t mean anything, except to identify that it’s a whole new design. I’m here to tell you, it’s truly an engineering marvel. The turbocharged 1.2L, 3-cylinder punches out 81kW at 5500 rpm, but still managed to return 4.8 L/100km over a mixture of hilly terrain, back country roads and freeway. 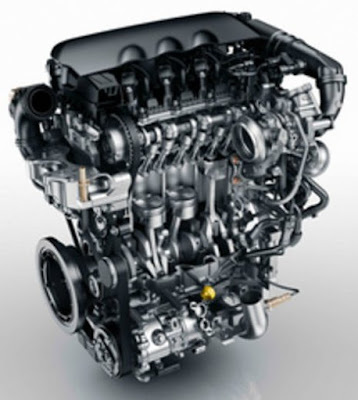 Peugeot has thrown every scintilla of contemporary tech at this engine to deliver great results. It uses low friction materials; it means a car weighing 5% less than a four-cylinder car, and with one less cylinder there are several other benefits. It needs less fuel to move it; it reduces the swept area, increasing efficiency and with direct injection it burns fuel more efficiently. Who said the internal combustion engine was done for? Talk about verve and brio. This little engine has the most fantastic engine note, because of the odd number of pulses merging from the three pipe exhaust manifold. Also, as most of the weight reduction is at the front of the car it has transformed the handling in such a small car. The 208’s green credentials are pretty strong too, achieving 107 g/km! The rear seats don't fold completely flat, but the space is very useful, and with seats raised the boot is a healthy size for 2 x 62cm rollaway bags. Enough for a decent holiday jaunt. Yep, it’s small (mouse-like), but there’s enough room for four adults, but maybe not four big guys. The seats are comfortable, but their size is carefully calibrated for the available cabin space. The steering wheel looks like someone squashed it in a press, but it’s great to hold and use, and peeping over the top you see just a speedo and tacho, fuel/temp in the minimalist instrument binnacle. The other mechanical tour-de-force is the six-speed, torque converter automatic transmission which although originally sourced from Aisin Warner in Japan, the engineers at Peugeot’s proving ground at Belchamp have pulled off a marvelous programming job on the gear changes. It is slick and beautifully matched to the engine. In fact I let the car dribble down to 1800rpm in 6th gear and eased my foot onto the throttle (I didn’t want to make the engine labour), and it pulled away easily. So I repeated the exercise, but this time I floored the throttle, and with nary a shudder or judder, the 208 simply picked up speed, smoothly and comfortably. Wow! I figure it will take you only two minutes of driving this car, to fall in love. The car I drove was the Top-of-the-Line Allure, with a dazzling array of extra features, which of course all come at a price – AUD$27, 280 – Ouch! If you opt for the Active version, which in our market is benefitting from a subsidy/deal from the distributor, Sime Derby, you can get a great package for around AUD$24,230, and I think that makes a much more sensible choice. I personally don’t think all the bells and whistles on the Allure enhances the driving experience – you still get all that in the Active model, and you pay a more realistic price for all that fun. Having said that, the touch-screen system is great, and in the Allure that includes GPS. I was the PR Director for Peugeot in Australia when we launched the 205 range, and I had a 205 GTi as a company car for a while. Therefore my Peugeot small car comparisons are unfairly based on that hot hatch. However, in the context of today’s offerings the little 208 three-pot gives nothing away to its sportier forebear. It’s more refined, performs well, is economical and sheer pleasure to drive. Like I said, a baby lion with a big heart. Vive la deux cent huit!